Athena is an intimate, ultra-luxury oceanfront condominium residence Boca Raton beachfront. 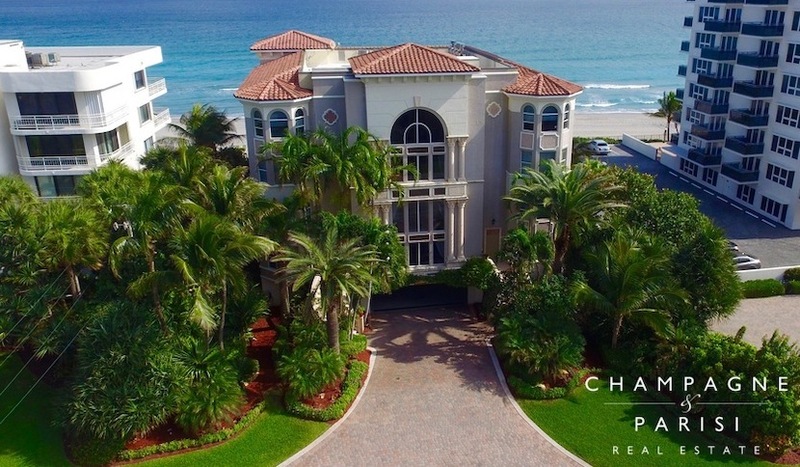 This exclusive beachfront building faces the beautiful Atlantic Ocean, offering stunning views of the water from each of its luxury condos. Athena luxury condos span a four-story gated building built in 1999. With only four private units in the entire building condos are rarely available for sale. There is one luxury condo per floor providing the ultimate in luxury and exclusivity, with private entrances from a key-coded elevator. Those who are fortunate enough to own an Athena condo enjoy the amazing views of the water from their large balconies, each with a private hot tub. Luxury Athena condos feature three bedrooms, a two-car parking space, as well as beautiful designer finishes and upscale features. Residents never want to leave their comfortable and quiet surroundings in Athena. Near the building are Spanish River Park, Red Reef Park, and James Rutherford Park that sit across from Lake Wyman, and the ocean. The Boca Raton Resort & Club is also just down the street for those looking to become members. Athena is situated directly on the beachfront on Hwy A1A, just north of Palmetto Park Road. Athena luxury condo residents also take advantage of nearby airports for easy travel, as well as unique shopping and dining at Mizner Park. Included below are condos for sale in Athena. These real estate listings, updated daily from the MLS with large photos, maps, local school info, and detailed property info. Also, please consider registering for a free account which will enable automatic email notifications when new condos in Athena come on the market in Boca Raton, FL. If you would like to learn more about Athena oceanfront condos, or any other Boca Raton condominium communities, please call us at 561-235-7800. You may also reach us by completing the brief online contact form provided directly below, and one of our Boca Raton luxury condo specialists will reach out to assist you. Our industry-leading team of Realtors has the local knowledge, experience, and skill to expertly handle all of your Boca Raton real estate needs. We look forward to having the opportunity to assist you!